Happy Friday folks! Ready to see the Urban Decay Aphrodisiac Collection? 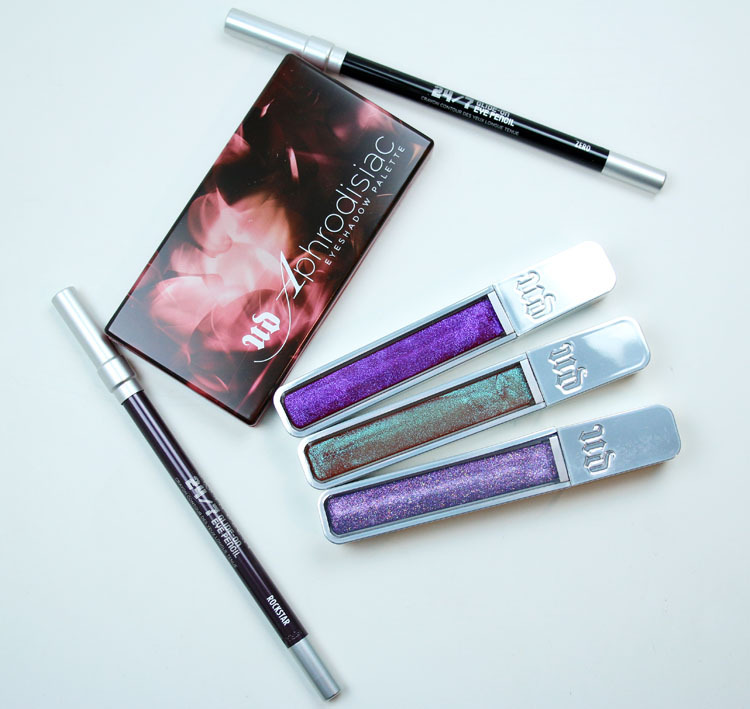 The Urban Decay Aphrodisiac Collection is an Ulta and UD exclusive. It includes a new eyeshadow palette and three new limited edition Hi-Fi Ultra Cushion Lipglosses. And 24/7 Glide-On Eye Pencils in Zero and Rockstar go with it perfectly. Have I ever mentioned that Rockstar was my favorite liner for probably a decade? LOVE that shade! Sheets is a warm-toned vanilla matte. Beyond is a warm-toned medium clay. Night Fever is a warm-toned rose/copper shimmery foil. Addict is a cool-toned plum satin. Glare is a cool-toned brown/bronze metallic shimmer. Whiplash is a deep neutral brown matte. Aphrodisiac is a multichrome red/blue/purple shimmer. 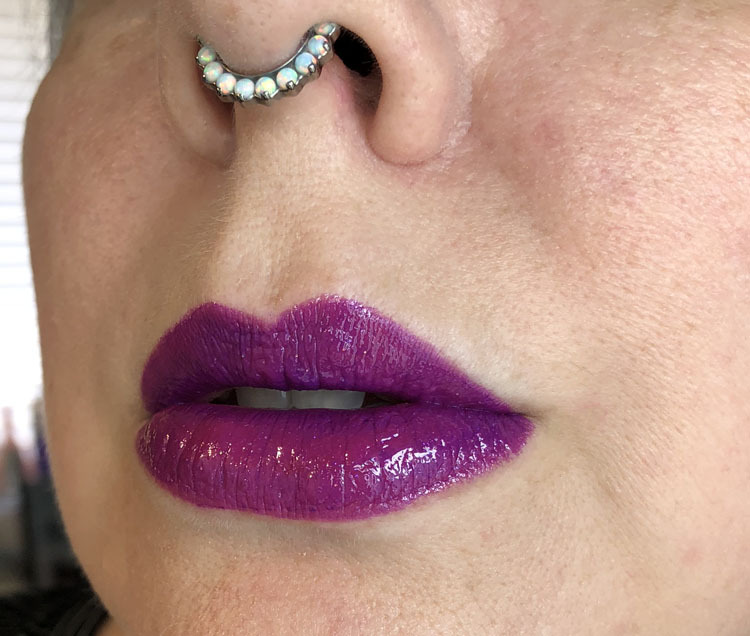 Tongue Tied is a duochrome magenta/purple with shimmer. Ghosted is a light purple/pink with heavy pink glitter and holographic glitter. Zero is a black matte. 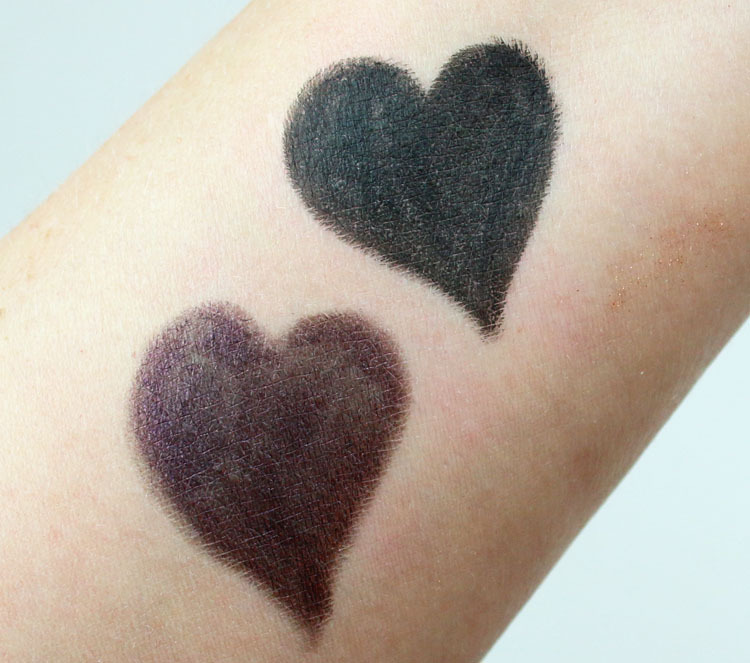 Rockstar is a deep eggplant purple with very a slight satin-y sheen. 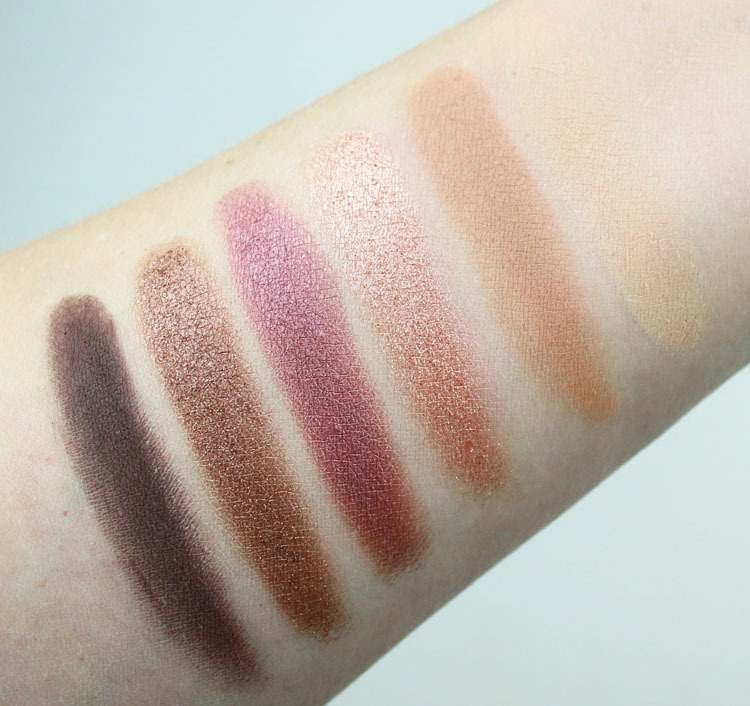 There were a couple colors in the eyeshadow palette that weren’t the best quality (Sheets and Whiplash) but they weren’t terrible and the other four were really nice. So if you didn’t have these shades it could make a decent little palette for ya. 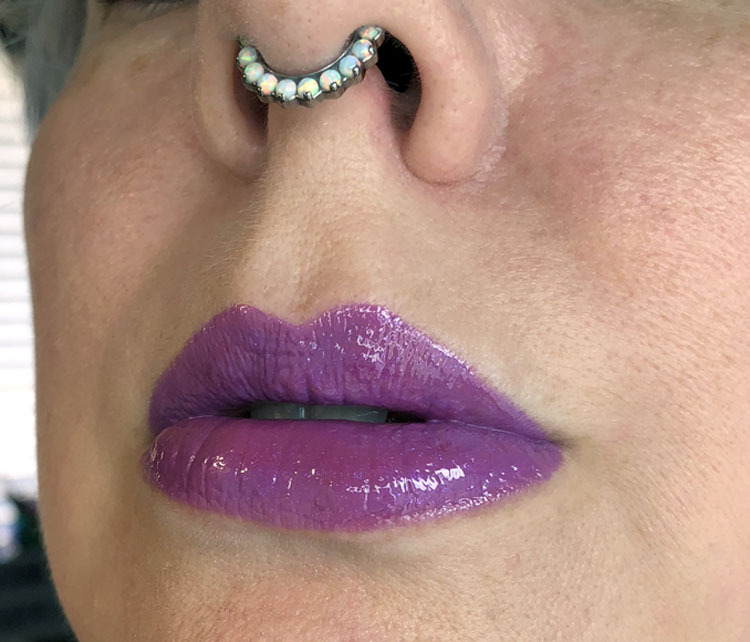 The glosses are all awesome, but especially Aphrodisiac, because it’s super multichrome-ish and Ghosted, because it’s a duochrome and filled with holographic glitter. 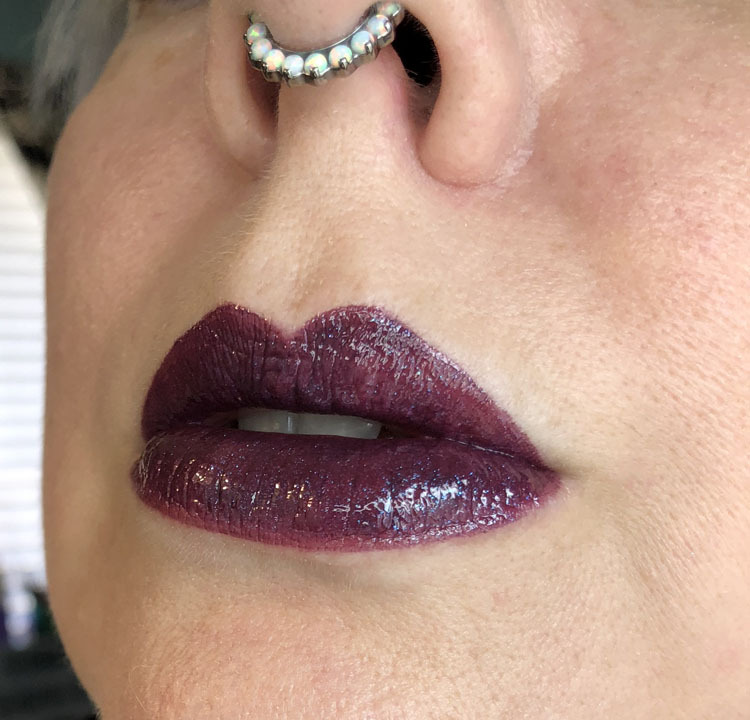 Tongue Tied is great because it’s pigmented enough to wear by itself for me. 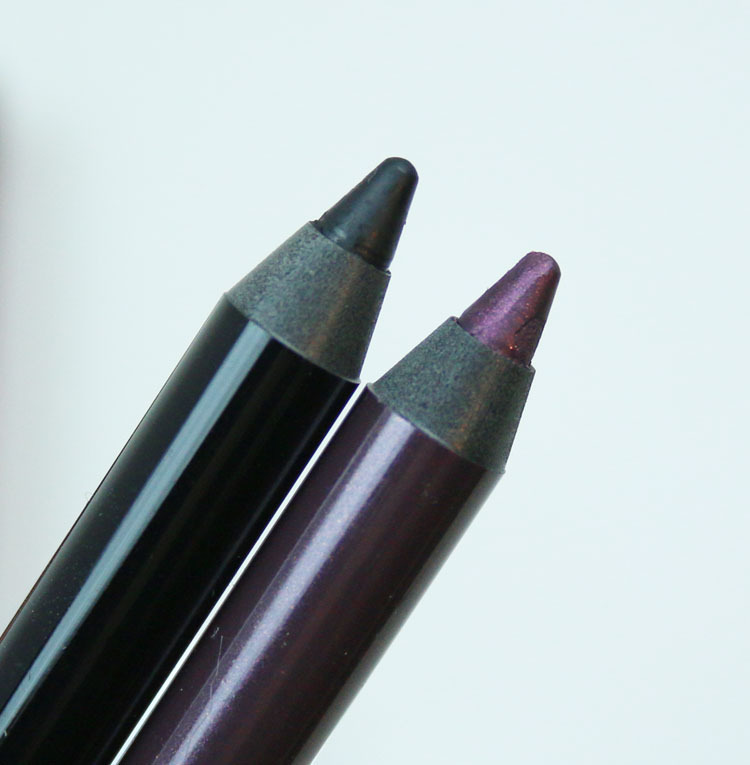 Zero is a decent black liner, but it’s definitely not as black as Perversion. And again, Rockstar is a really great deep royal purple color which I’ve loved forever. The Urban Decay Aphrodisiac Collection comes out exclusively at Ulta on August 5th and on the UD site on August 27th. And speaking of Hi-Fi, have you seen my post on their new Lo-Fi Lip Mousse shades yet? Check it out! Do you see anything here that you definitely will be picking up? Cirque Colors New Holographic Shades! They should’ve included an ultra dark brown liner with the collection instead of Zero, which everyone has, to better go with the colors. That is my one critique! Rockstar is also a favorite of mine (along with Stash and Mildew, to go with hazel eyes), and it’s hard to pick just one of those glosses. 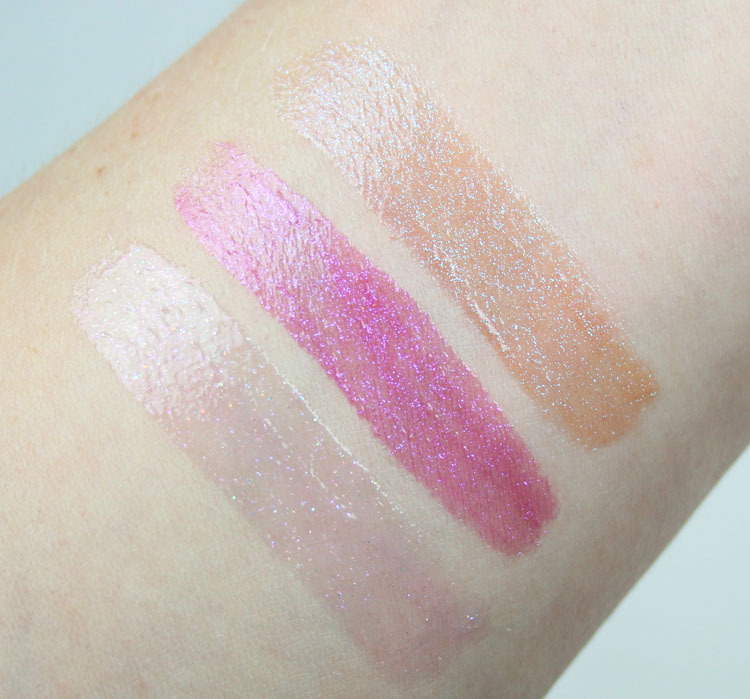 Oooh, I want ALL the lip glosses! 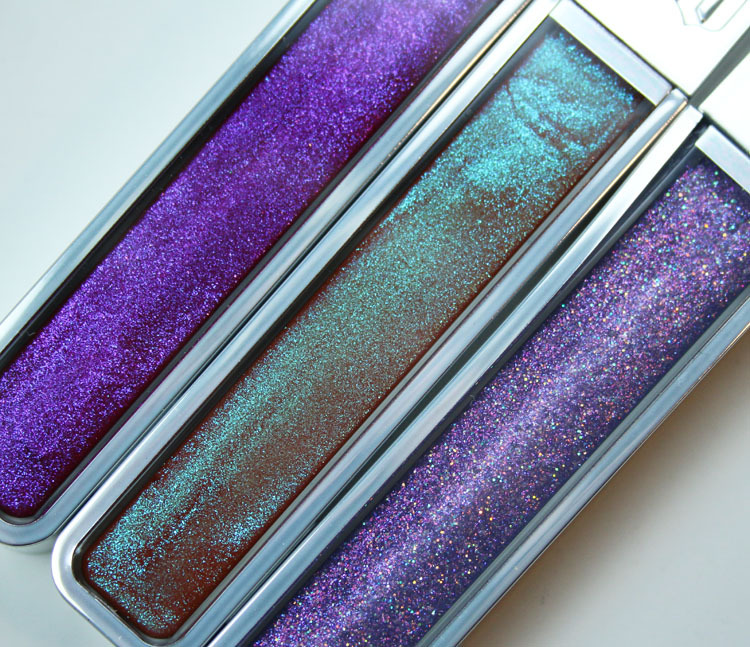 Anything glittery is perfect for summer, and I don’t have any purple-y glosses yet. 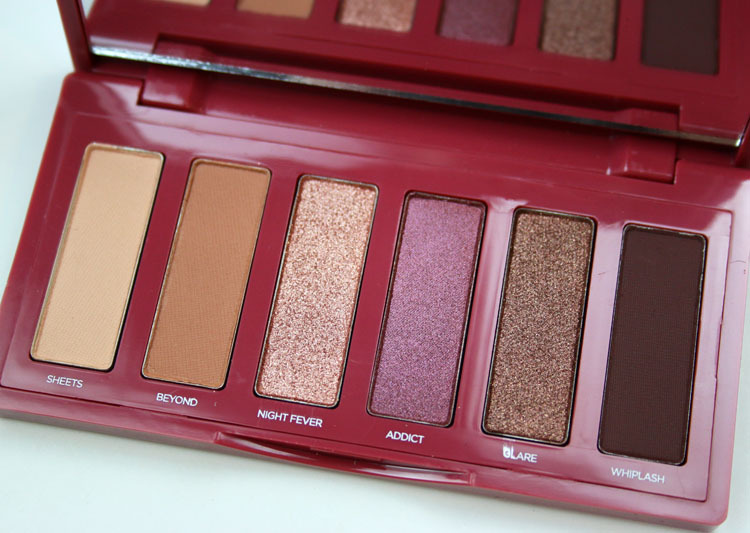 The palette looks cute, but I have similar shades already, so it’s kind of an ‘eh, I don’t NEED it’ thing.